Kick your winter off right! 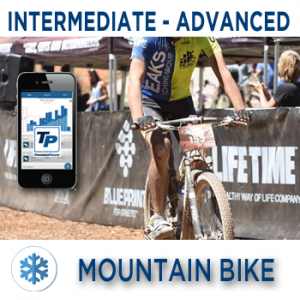 a 12 week plan designed for the Cyclist or Triathlete who trains with power, HR (Heart Rate), or RPE (Rate of Perceived Exertion) and can train 8:15-17:15 hours per week (excluding Rest Weeks). You will need to be able to devote between 4:30-8:30 hours to training on your weekends. a 12 week plan designed for the Cyclist or Triathlete who trains with power, HR (Heart Rate), or RPE (Rate of Perceived Exertion) and can train 8:15-14:45 hours per week (excluding Rest Weeks). You will need to be able to devote between 4:30-7:30 hours to training on your weekends. a 12 week plan designed for the Cyclist or Triathlete who trains with power, HR (Heart Rate), or RPE (Rate of Perceived Exertion) and can train 10:30-16:15 hours per week (excluding Rest Weeks). 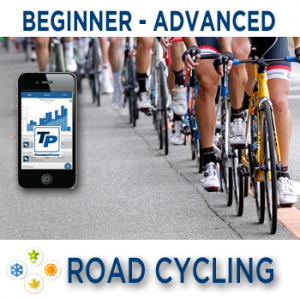 You will need to be able to devote between 2:30-6 hours to training on your weekends. a 12 week plan designed for the Cyclist or Triathlete who trains with power, HR (Heart Rate), or RPE (Rate of Perceived Exertion) and can train 12:45-19:15 hours per week (excluding Rest Weeks). You will need to be able to devote between 2:30-6:45 hours to training on your weekends. a 9 day plan designed for the Cyclist or Triathlete who trains with power, HR (Heart Rate), or RPE (Rate of Perceived Exertion) and can train 1-2 hours per day. a 12 week plan designed for the Cyclist or Triathlete who trains with power, HR (Heart Rate), or RPE (Rate of Perceived Exertion) and can train 12:15-15:15 hours per week (excluding Rest Weeks). You will need to be able to devote between 3:30-5:30 hours to training on your weekends. a 12 week plan designed for the Cyclist or Triathlete who trains with power, HR (Heart Rate), or RPE (Rate of Perceived Exertion) and can train 7:45-18:45 hours per week (excluding Rest Weeks). You will need to be able to devote between 3:15-10 hours to training on your weekends. a 12 week plan designed for the Masters (over 40) Cyclist or Triathlete who trains with power, HR (Heart Rate), or RPE (Rate of Perceived Exertion) and can train 7:30-18:15 hours per week (excluding Rest Weeks). You will need to be able to devote between 2:30-6 hours to training on your weekends. a 12 week plan designed for the Cyclist or Triathlete who trains with power, HR (Heart Rate), or RPE (Rate of Perceived Exertion) and can train 7:45-16:15 hours per week (excluding Rest Weeks). You will need to be able to devote between 3:15-8:00 hours to training on your weekends.